WPS is back in full swing this weekend with all six team’s in action. 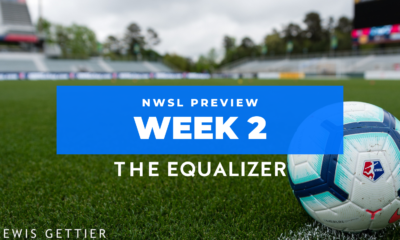 That includes a top of table clash between the Western New York Flash and the Philadelphia Independence, which took over first place on Wednesday with a thrilling 4-3 win over Sky Blue FC on Wednesday. Philadelphia will of course be without Megan Rapinoe, who was traded to magicJack in June (Rapinoe will of course not be with magicJack either since she is with the U.S. Women’s National Team, who play in the Women’s World Cup quarterfinals against Brazil on Sunday). It looks like that trade between Philadelphia and magicJack can unofficially be called the biggest transfer in WPS history. Philadelphia sent Rapinoe to magicJack for “cash considerations.” Sources close to the situation tell The Equalizer that magicJack’s part of the trade sent an incredible $100,000 to Philadelphia for Rapinoe, which is something to the tune of one-fifth of the entire Philadelphia player payroll. For Philadelphia, it was an offer the team couldn’t refuse. Rapinoe, who will continue to miss time during and following the Women’s World Cup, featured in just four matches for Philadelphia, starting two and scoring once in 220 minutes of action. Independence Head Coach Paul Riley strategically built his team around non-World Cup players to avoid a snap in team rhythm and chemistry and it has paid off for his first-place team. U.S. midfielder Lori Lindsey has come off the bench in all five appearances this season and forward Amy Rodriguez has made just three starts in five games. So for the Independence to receive that kind of cash for Rapinoe – a spectacular talent but a player who really hasn’t factored into the equation for the team – is an incredible deal. For magicJack, it’s a steep price to pay for a player who will realistically only be with the team for a little over one month. Now Philadelphia hosts Western New York on Saturday in what is easily the biggest match of the WPS season thus far. 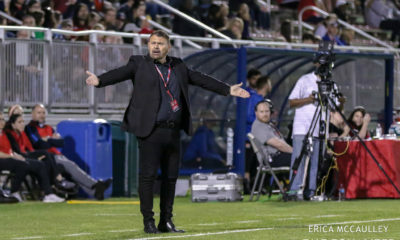 Western New York has not played in a month and had to sit on a two game winless streak following a seven game unbeaten streak to begin the season. 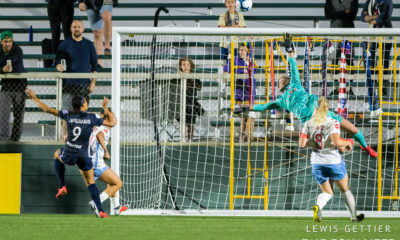 The last time the Flash played (June 12), Philadelphia’s Danesha Adams headed in a goal in second half stoppage time to deliver Western New York its heartbreaking first loss of the season. Now the two face off on Saturday with Philadelphia looking to stay in first place (a franchise first) for longer than 72 hours. Western New York will still be without all of its World Cup players – even Christine Sinclair, Candace Chapman and Ali Riley, who have all been eliminated from the tournament – meaning the roster will be pretty depleted. New signing Rebecca Moros is questionable, which does not help. The match still should be great, but unfortunately it will not be televised or streamed online. New-found women’s soccer fans from the Women’s World Cup fans looking to check out WPS can do so at 6 p.m. on Fox Soccer when the Boston Breakers host the Atlanta Beat. July 7, 2011: Western New York Flash signed Rebecca Moros. Atlanta Beat mutually terminated contract with Lyndsey Patterson. July 6, 2011: Sky Blue FC signed Petra Jacoba Hogewoning. 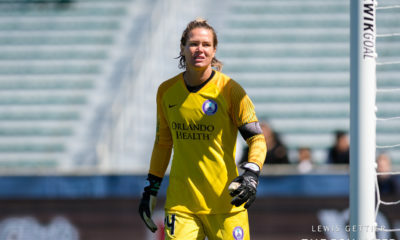 July 1, 2011: Atlanta Beat waived Katie Bethke. June 30, 2011: Sky Blue FC signed Sheree Gray.